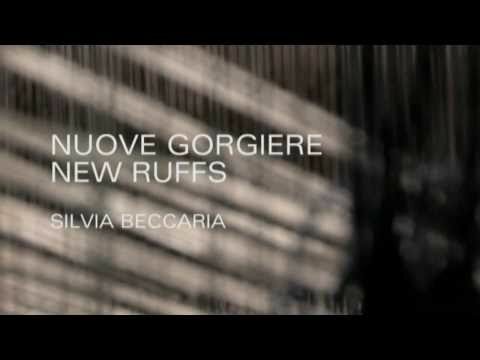 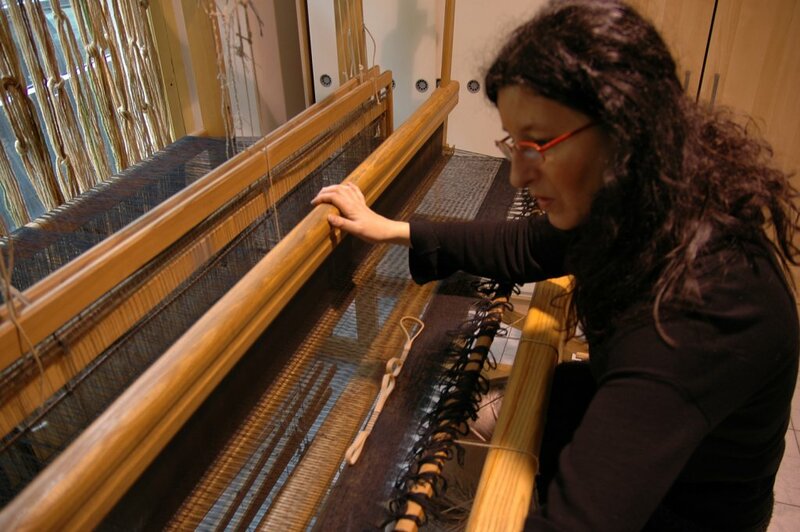 Silvia Beccaria is a textile designer, she uses hand-weaving techniques, playing with them in total freedom. 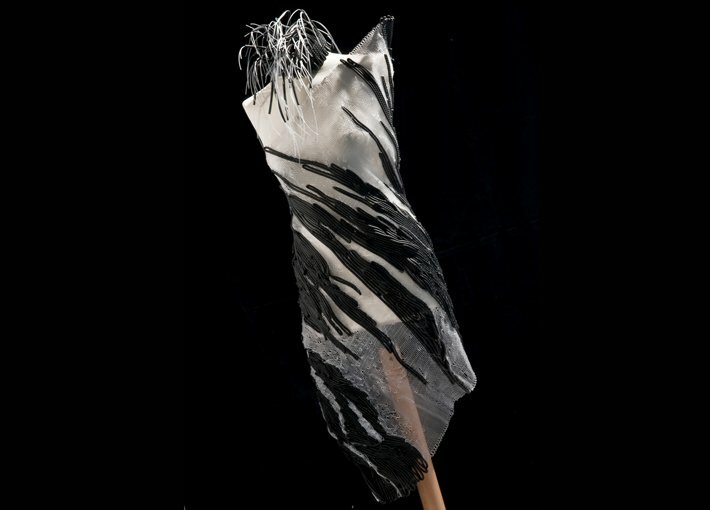 With a perfect symbiosis of hands and mind, she breaks the rules and yet is mindful of the heritage of ancient methods. 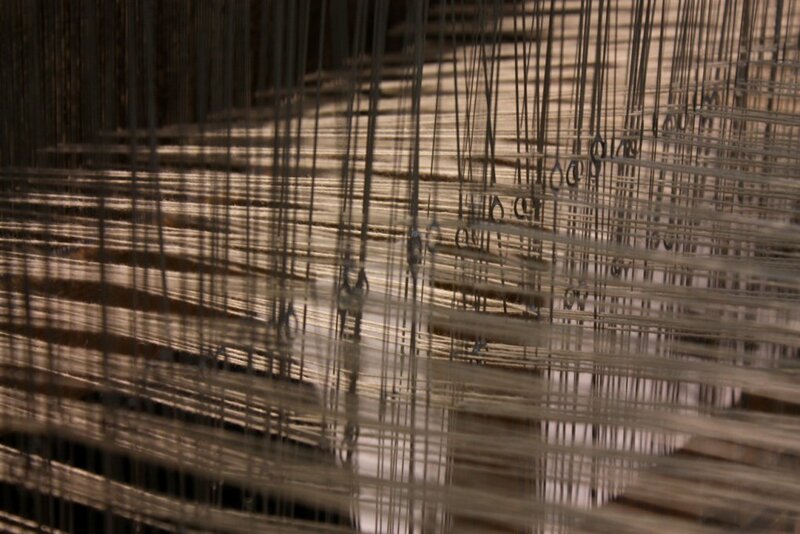 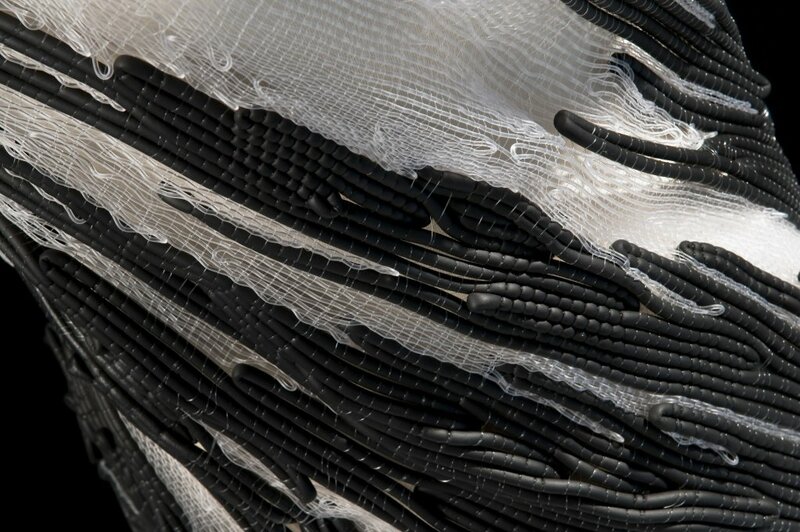 She looks into the past, while expressing herself with the contemporary language of research and experimentation.Fiber – whether it is wool, rubber, paper, metal, or plastic – is the linguistic instrument that allows her to conceive and give birth to the ideas she designs and creates at the loom. 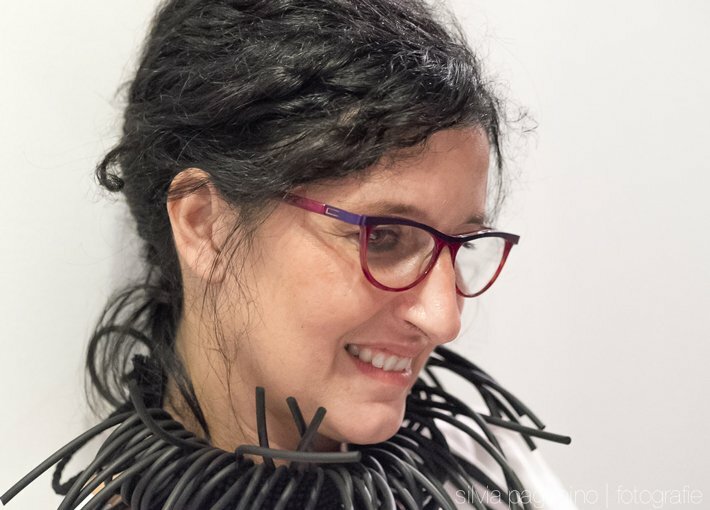 After achieving a degree in philosophy and a master in art therapy from Turin’s University, she started studying textile design and specialized in fiber art under the guidance of noted textile artist Martha NieuwenhuijsSilvia designs and produces contemporary jewelry, sculpture-dresses, and tapestries, and takes part in many art exhibitions in Italy and abroad. 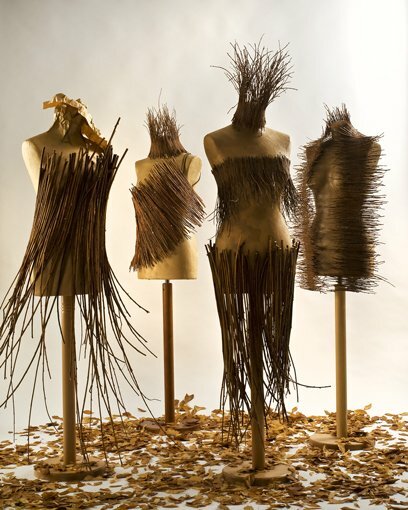 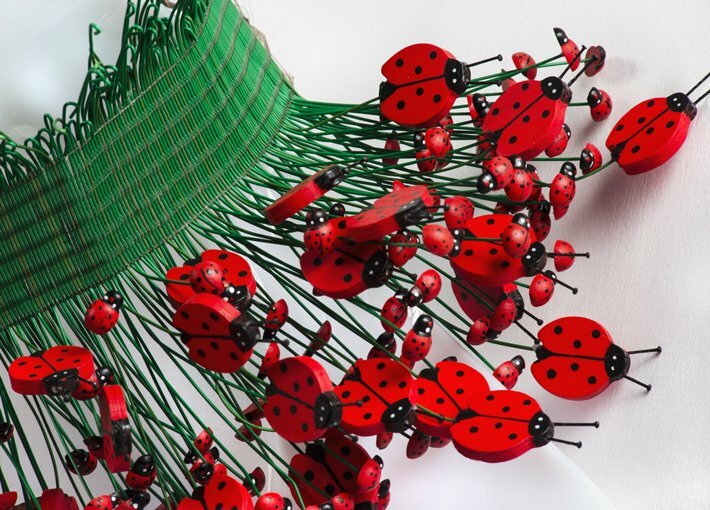 Her work is showcased in various fiber art permanent collections.